Amazon Redshift audit solution by DataSunrise provides non-stop monitoring of database activity. Audit is an essential tool when it comes to investigating data breaches by insiders or hacker attacks. It notifies about potentially dangerous operations giving the opportunity for system administrators to stop attacks or unauthorized actions before they do sufficient harm. The simple interface helps to find the needed transaction easily. Customizable audit/skip settings help to meet various corporate requirements and prepare reports for SOX, HIPAA, PCI DSS compliance. Tracking and logging events that occur on the database engine. Detecting suspicious activities, attempts of user passwords hacking and revealing outside and inside threats. Detecting system malfunctions and software errors. Assisting to comply with standards of regulatory agencies such as PCI DSS, SOX and HIPAA. Revealing potential vulnerabilities in data storage system in order to prevent data breaches. Results of Amazon Redshift data audit can be stored in built-in database or exported to external SIEM-system that will provide real-time analysis of security alerts comparing it with up-to-date database of threats. Among other advantages, DataSunrise uses intelligent self-learning algorithms that create a whitelist of transactions considered as “safe” for users of a corresponding department in order to simplify the process of query inspection and prevent false triggering of a firewall. More detailed information about monitoring feature is available here. 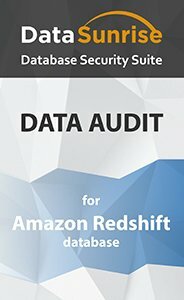 Amazon Redshift data audit solution by DataSunrise is a comprehensive software designed to automate the complete process of conducting and documenting Amazon Redshift audit. Without architecture changes, downtime and expensive hardware it provides high-quality protection from both inside and outside threats. 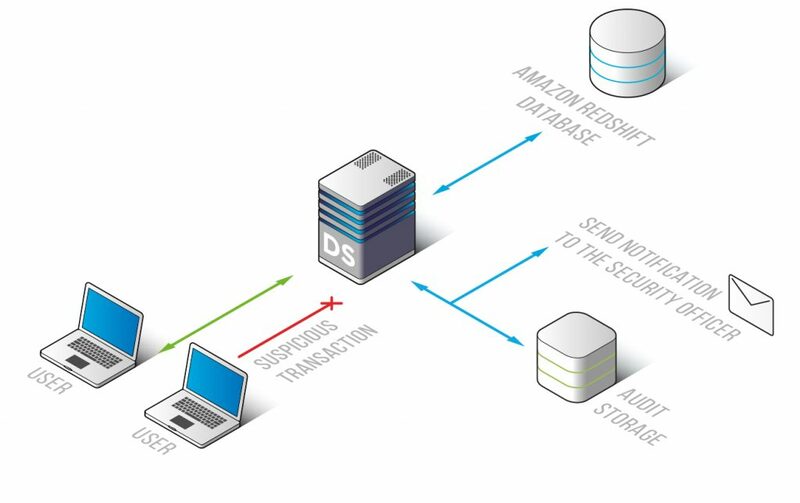 DataSunrise Amazon Redshift Audit will be a valuable part of your database security system.